In Paritala Anjaneya Temple we will find the statue of Lord Hanuman. 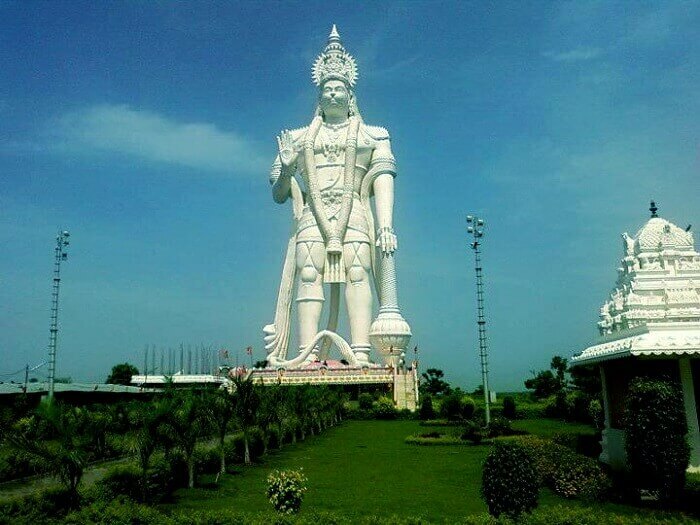 This statue is the tallest statue that is dedicated to Lord Hanuman in the world. The statue was installed in the year 2003 which stands 135 feet (41 metres) tall. It is located in the Paritala town near Vijayawada in Andhra Pradesh. The Thiruvalluvar Statue, or the Valluvar Statue, is a 133-feet (40.6 m) tall stone sculpture of the Tamil poet and philosopher Tiruvalluvar. The statue was sculpted by the Indian sculptor Dr V. Ganapati Sthapati. The statue stands 400 meters from the coastline of Kanyakumari on a small island rock. The Buddha Park of Ravangla, also known as Tathagata Tsal, is situated near Rabong (Ravangla) in South Sikkim district, Sikkim, India. It was constructed between 2006 and 2013 and features a 130-foot (40 m) high statue of the Buddha as its centrepiece. The statue was consecrated on 25 March 2013 by the 14th Dalai Lama. The Dhyana Buddha statue of 125 ft (38 m) is located at Amaravati. It is situated on the banks of Krishna river in 4.5 acres (1.8 ha) with eight pillars on a Lotus pandal. The statue was commissioned in 2003 and completed in 2015. 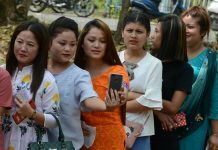 The statue has a museum in the base underneath it, which consists of sculptures depicting scenes with Buddhist significance, most modern copies of the original reliefs from the Amaravati Mahachaitya stupa which are now in museums around India and the world. Padmasambhava, also known as Guru Rinpoche, was an 8th-century Indian Buddhist master. 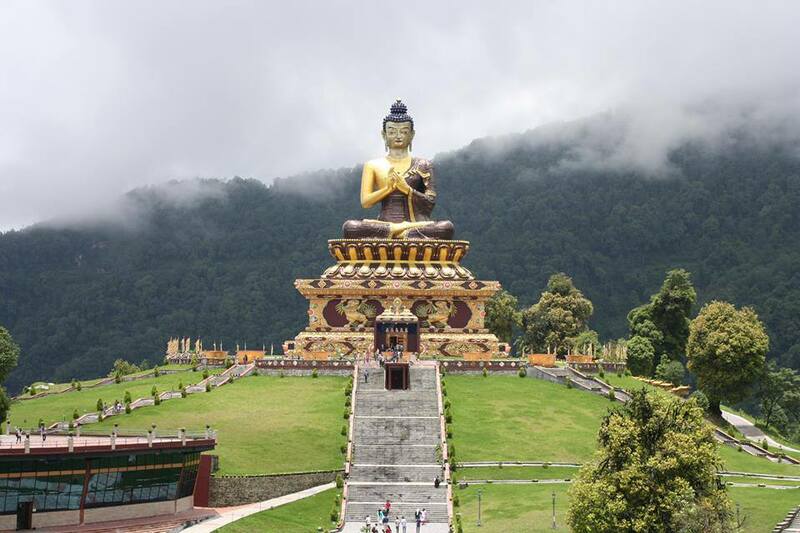 The 36 m tall statue of Padmasambhava Guru Rinpoche is located in Namchi in South Sikkim. Giant statue of Guru Rinpoche of Namchi is considered as the tallest guru statue in India.